Style's not something you think about; it's just a way of life. Keep on keepin' on with the signature Levi's® 511™ Slim. 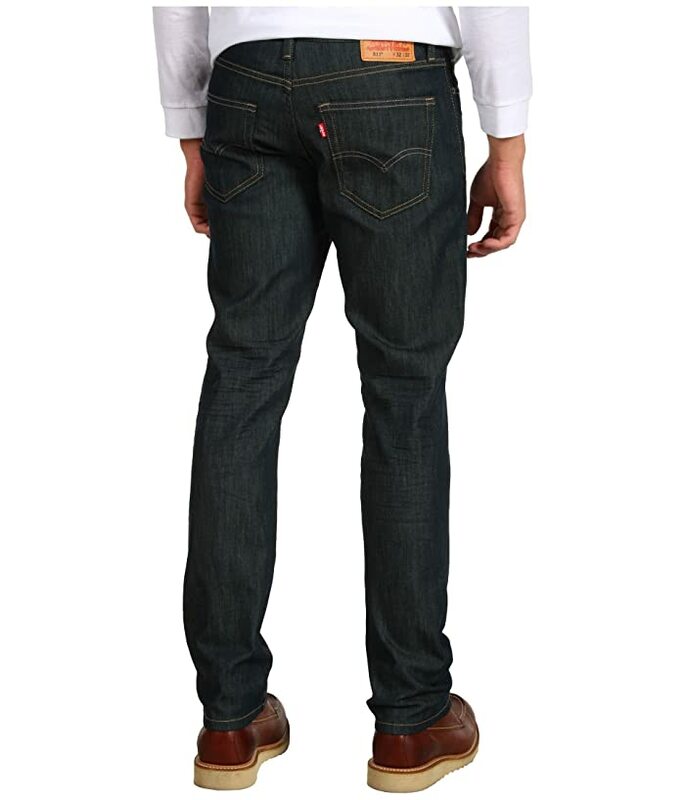 The 511™ is cut close through the thigh with a slim, lightly tapered fit through the leg. Slouch-cut low rise sits just below the waist. Biscuits, Black/Black 3D, Black Stone, Black Stretch, Blue Stone, Clean Dark, Dark Hallow, Ducky Boy, No Place Like Home, Pepper Pie Advanced Stretch, Professor Marvel, Put Em Up, Rigid Dragon, Rigid Grey, Sequoia: 99% cotton, 1% spandex. Chainlink, Lead Grey Piece Dye, Pomegranate Piece Dye, Pumped Up, Rinsed Playa, Throttle, White: 98% cotton, 2% spandex. 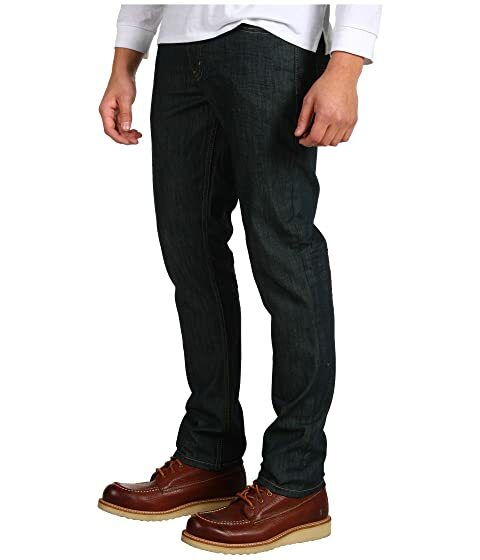 Black, New Khaki 3D: 98.5% cotton, 1.5% elastane. Coava, Headed East: 95% cotton, 4% polyester, 1% elastane. Amor Distressed: 95% cotton, 3% polyester, 2% elastane. 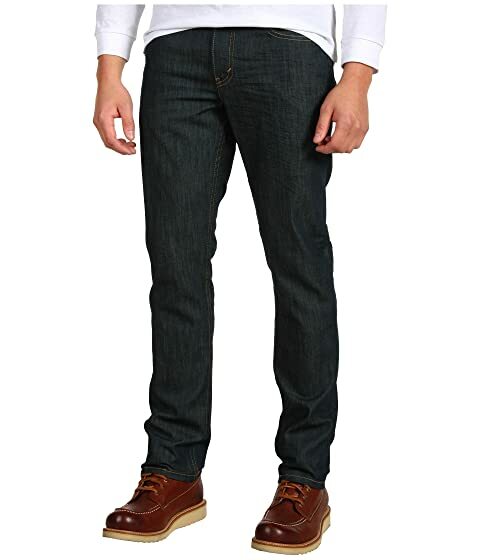 Bluegum Batch Advanced Stretch, Frog Eye Advanced Stretch, Supernova: 94% cotton, 5% polyester, 1% elastane. Headed South: 94% cotton, 4% polyester, 2% elastane. Worst Enemy Advanced Stretch: 88% cotton, 11% polyester, 1% elastane. Panda Advanced Stretch, Despacito Advanced Stretch, The Frug Advanced Stretch: 81.5% cotton, 17% polyester, 1.5% elastane. Grey/Black 3D, Stealth: 65% cotton, 33% polyester, 2% elastane. 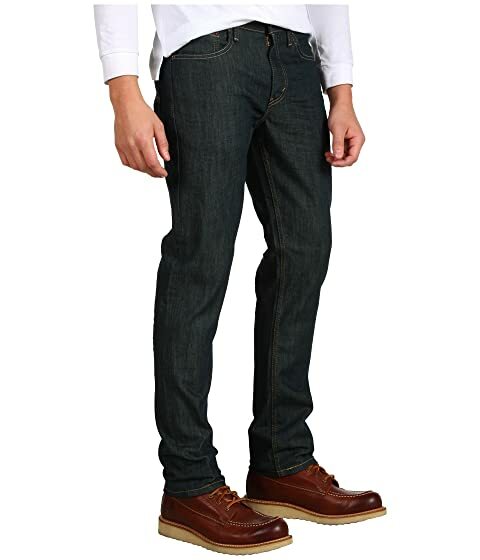 Product measurements were taken using size 33, inseam 34. Please note that measurements may vary by size.